Marvel Entertainment has posted a dynamic new trailer for Black Panther, which boasts so much high-tech action that Tony Stark may get jealous. 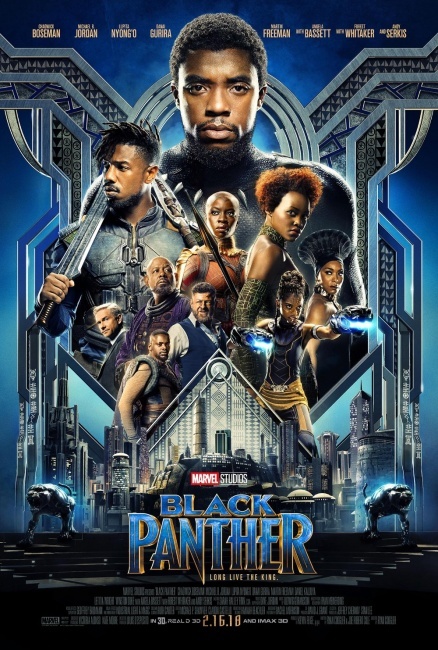 Black Panther follows T�Challa who, after the death of his father, the King of Wakanda, returns home to the isolated, technologically advanced African nation to succeed to the throne and take his rightful place as king. But when a powerful old enemy reappears, T�Challa�s mettle as king - and Black Panther - is tested when he is drawn into a formidable conflict that puts the fate of Wakanda and the entire world at risk. Faced with treachery and danger, the young king must rally his allies and release the full power of Black Panther to defeat his foes and secure the safety of his people and their way of life. Marvel will launch a new prequel miniseries, ahead of the movie in January (see �'Rise of the Black Panther' Miniseries�) and will be releasing several classic Black Panther volumes this winter (see �Marvel Stocks up on 'Black Panther'�). Marvel released a teaser trailer in June (see �First Trailer for 'Black Panther'�). The film opens in theaters on February 16.